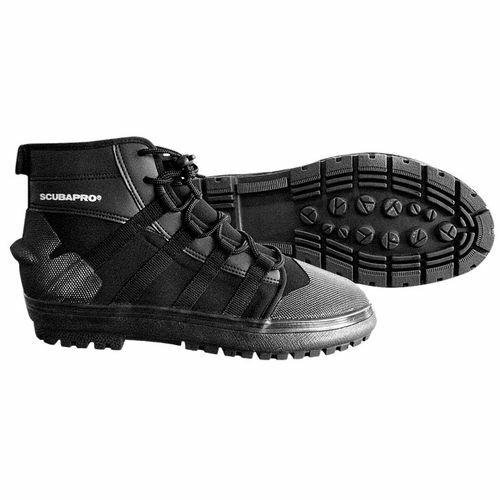 Here's a must-have boot for any drysuit diver who hikes or climbs to a dive site. The sturdy HEAVY-DUTY DRYSUIT BOOT can handle the most rugged shoreline terrain or slippery boat deck. At the same time, its flexible neoprene upper lends a degree of comfort that you'll appreciate after a long day in the water. The HEAVY-DUTY DRYSUIT BOOT features a quick-lace system that minimizes hassle. It is designed to fit comfortably over the neoprene or latex sock of any drysuit.